Many traveler come to Yogyakarta to spend their holiday or weekend. There are many places that you can visit with your family and friends. Because there are many places that you can visit, maybe you are difficult to decide it and you don’t have enough time to explore Yogyakarta. Don’t worry! if you come to Yogyakarta and only have 3 days to stay, I have already planned what to do in Yogyakarta for 3 days. The morning is the best time to enjoy the scenic beauty of Mount Merapi. It is about 07.00 a.m in the morning. If you like to test your adrenaline, you come visit Merapi . The beauty Mount Merapi undeniable. You can feel the mystery and tragedy that surround the mountain. Because of it, Merapi is a choice for outdoor sports enthusiasts as an alternative for mountain tourist destinations. If the weather is not foggy, you can see clearly the towering and gallant mountain that is also surrounding by four towns. The four towns are Sleman, Magelang, Klaten and Boyolali. In Merapi, you can feel the fresh air, even though it is cool. You also can feel that friendliness of its people that make you feel comfortable. In 2010, the place that affected by eruption is used by local people to attract the tourist. It is called volcano trekking. The tourists can trace the eruption that occurred in the past, including visit the former home of Mbah Maridjan, a caretaker legendary figure. A facility that you can find in this place is Campsites, if you like to camp in this place. You also can find Lodging, such as villas and bungalow. In this area is often hold events – events such as conferences, seminars, meetings, workshops, and others. Do you know imogiri graveyard? Do you ever visit it? If no, you can go to this place. Imogiri graveyard is the tomb of kings of Mataram. It is located in the hills Imogiri Bantul. To go to Kings Tomb, you can climb the rungs that is about 409. This tomb is destined for the tomb of the king, the royal family and their descendents of Islamic Mataram Kingdom. 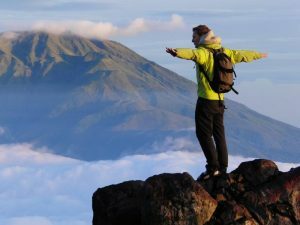 Java community believes that mountains or hills symbolize the status and the attempt to get closer to the Almighty. Upon entering the location of the tomb of the king, the scent of flowers mingled incense seemed to welcome the arrival of visitors. Courtiers of the palace almost every day put special offerings in the tomb. 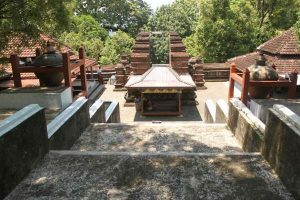 According to the royal cemetery caretaker, the tomb of Sultan Agung always fragrant because now he has reached the level of Waliyullah. 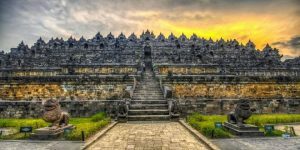 You may also get to know more about Why Everyone Should Visit Yogyakarta Indonesia? In this place apart from the tomb of Sultan Agung, buried the 23 king descendants of Sultan Agung, Sultanate of Surakarta and Yogyakara Tomb. The structure and composition of the royal cemetery is triangular. Tomb of Sultan Agung are at the top. While the East side is where the king tombs of Yogyakarta Sultanate and the western side is King tombs of Surakarta. Until now, the tomb of Sultan Agung very sacred so that not just anyone can enter the tomb. A requirement that must be met when it intends to make a pilgrimage to the tomb of Sultan Agung are: the pilgrims are prohibited to using the footwear, bring a camera, wear jewelry, especially gold and had to wear a Javanese clothes. For male pilgrim must wear Java blangkon, beskap, cloth, belt, buckle and samir. As for the female pilgrims must mamakai kemben and a long cloth. In the tomb and the forest are, visitors are prohibited do not polite, hunt, cut trees, take the wood and remove / destroy the existing plant. The facilities are fairly standard in this place: a parking lot, public restrooms and a guide that will tell the history associated with this Imogiri royal cemetery. In addition, to make it more understand with this place, you can buy photo copy of three small books that contains a history of the tomb of King of Mataram and the scheme of king tombs. There are also several stalls located in Terminal that provides food such as wedang uwuh, pecel, jadah tempe and tahu bacem. For the third day, you can visit Borobudur temple. At every level, you can see beautiful carved reliefs depicting Buddhist teachings implicitly at that time this religion followed by citizens. Historically, Borobudur was built for a worship place for Buddhists in the era of the Sailendra dynasty. Buddha statue that contained in stupas adorning the top floor of Borobudur is a very comfortable place to soothe and refresh yourself. You also can take a break after a trip around Borobudur. Not only stupas, natural scenery from this level is also very beautiful. Historically, this Borobudur temple construction process takes over 92 years (far longer than the Angkor Wat temple, whose construction took about 30 years). At that time, there is a worship place which is shaped like a lotus flower in the middle of the lake when we look from a height. Unfortunately, earthquakes and volcanic eruptions are very large in the past that had made the temple was buried. It made the lakes around this magnificent temple lost. There are many facilities in this temple are lodgings, restaurants, souvenirs. In this place, there are also guides that will guide you and explain the history, culture and architecture of this temple. How is it? These are what to do in Yogyakarta for 3 days.